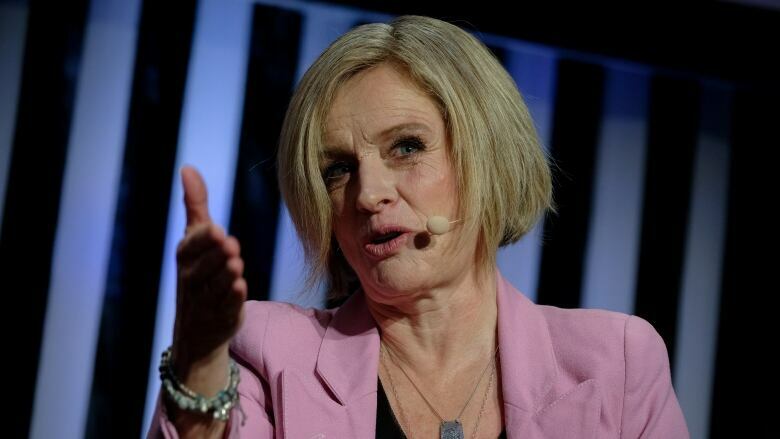 Alberta Premier Rachel Notley has put a stop to ultra-cheap Canadian oil and robust profits for American refineries, at least for now. Ever since Alberta mandated companies in the province to limit their oil production, the heavy discounts on Canadian oil have disappeared. So too have the massive profits for refineries south of the border, which have shrunk to some of the lowest levels in several years. Oil prices in Alberta were trading exceptionally low compared to benchmark U.S. prices in the second half of 2018. In October, for instance, heavy oil in Alberta was selling for $20 US per barrel, while West Texas Intermediate was fetching $70. U.S. refineries from Ohio to Minnesota were able to capitalize the most by getting their hands on much of the bargain oil. "Those refineries in the Midwest would have had even higher profitability because they were able to access crudes in Canada," said Jackie Forrest of the Calgary-based ARC Energy Research Institute. As a result, their profits surged. Phillips 66 reported its fourth-quarter, pre-tax income rose to $2 billion from $1.2 billion in the third quarter of 2018 and said, "Central corridor refineries captured the benefit of expanded discounts on Canadian crudes by running at 106 per cent utilization during the quarter." Marathon Petroleum's income from refining jumped to $923 million in the last quarter of 2018 compared to $732 million during the same time in 2017. Again, the company pointed to cheap oil from north of the border. "The fourth-quarter differentials were incredibly wide, particularly around Canadian crude," CEO Gary Heminger said to analysts last month. Alberta's curtailment policy has stomped out those profit gains — for now. From a gap of almost $50 a barrel, Canadian oil has been selling for about $10-15 below American prices since the beginning of 2019. The British oil major BP Plc has one of the largest refineries in the U.S. to process Canadian heavy oil. While its fourth-quarter adjusted profit before interest and taxes was $2.17 billion compared to $1.47 billion in the same quarter of 2017, there is an acceptance those large returns won't repeat themselves again this year. "Looking to the first quarter of 2019, we expect significantly lower industry refining margins and narrower North American heavy crude oil discounts," the company said in a release. There are other factors putting the squeeze on refiners including oil-supply reductions from OPEC countries and U.S. sanctions on importing crude from Venezuela. 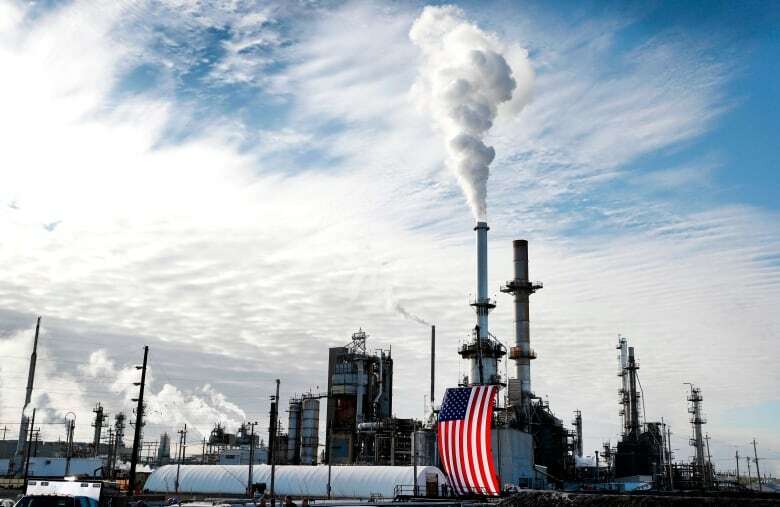 As a result, margins for U.S. Gulf Coast refiners have declined to "the lowest levels since late 2014," according to the U.S. Energy Information Administration (EIA). Crack spreads are an industry term for the margin between how much refineries pay for oil and how much they sell the products they produce such as fuel. "Gasoline crack spreads typically decline to their lowest levels of the year in the winter months, but this winter, [Gulf Coast refiners have] seen some of the lowest crack spreads on record," the EIA said in a recent report. Since Alberta's curtailment policy began at the beginning of the year, the government has eased back on the limit and allowed companies to produce a bit more oil in subsequent months. In January, production was cut by about 325,000 barrels a day, while the cut will be reduced to about 225,000 barrels a day in April. The curtailment policy forced the largest 25 companies in the province to limit their oil production to help boost prices. A lack of export pipeline space has created a backlog of oil in Alberta. Considering how tight export capacity is in the province, Western Canadian oil prices could fall again if certain situations occur, such as prolonged pipeline outages or a number of refineries shut down for maintenance. Kyle Bakx is a Calgary-based journalist with CBC's network business unit. He's covered stories across the country and internationally.